This space will seat 250 people. There are 6 steps up to the front entrance. The space is accessible from the elevator located inside the side door of the building. The sound system is available if the contact person for your group is shown how to use it. The Music Director must approve use of the Society’s instruments by others. Food and drink are not allowed in the Great Hall at any time. 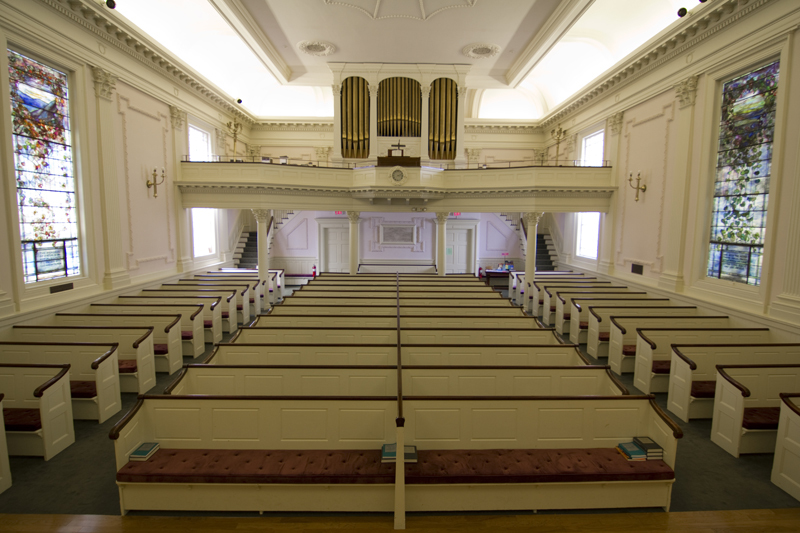 We ask that you respect the sacredness of the sanctuary. The Parlor is adjacent to our Great Hall. Privacy is not guaranteed in this space. There is very limited rental availability. This space will hold 50 - 100 people. Enter through side door, there are 5 steps down or room is accessible from elevator. Rest rooms are located on this floor. Tables and chairs are available. Use of this space does not include use of the kitchen. Food may be served with advance permission. Privacy is not guaranteed in this space. Fee: See Social Room rental fee schedule. 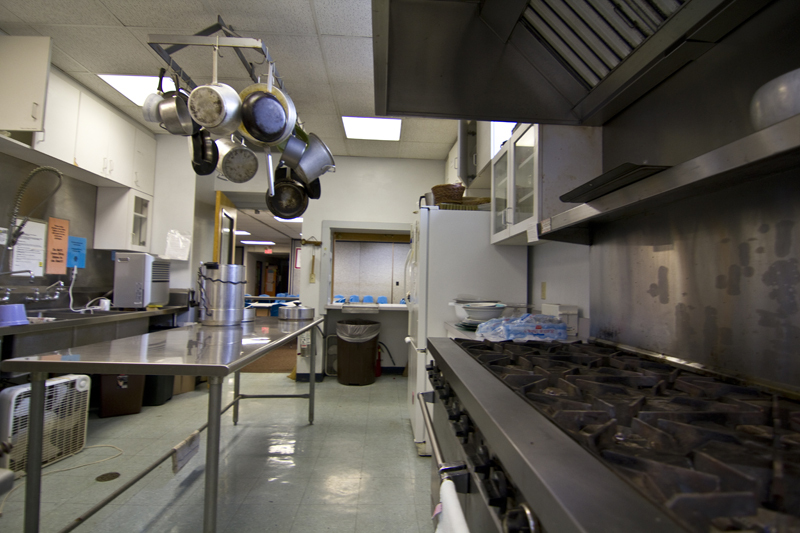 The kitchen is made available for outside use only occasionally. 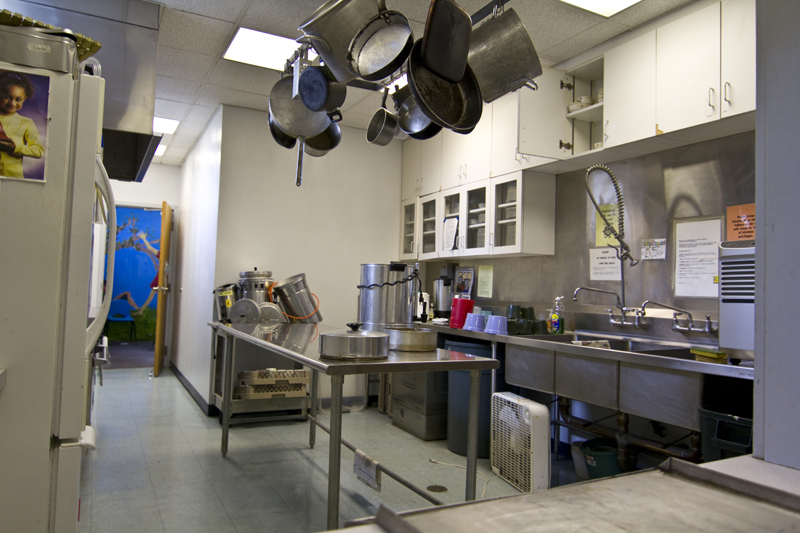 There is an additional fee for use of the kitchen and an orientation is required. All food and other supplies must be removed at the end of the event. No food may be stored in the refrigerator. Trash must be bagged and removed to the dumpster outside the building. 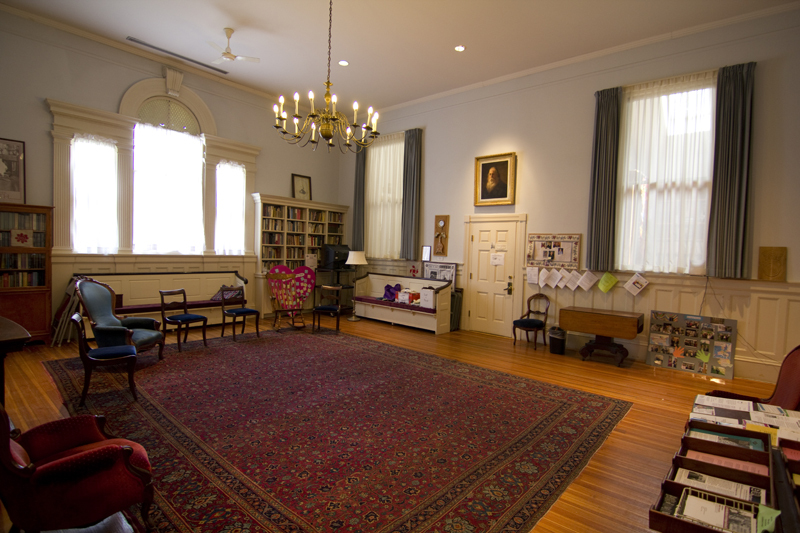 The Sojourner Truth Room (ST), which is downstairs, is ideal for small groups (8 - 10 people). 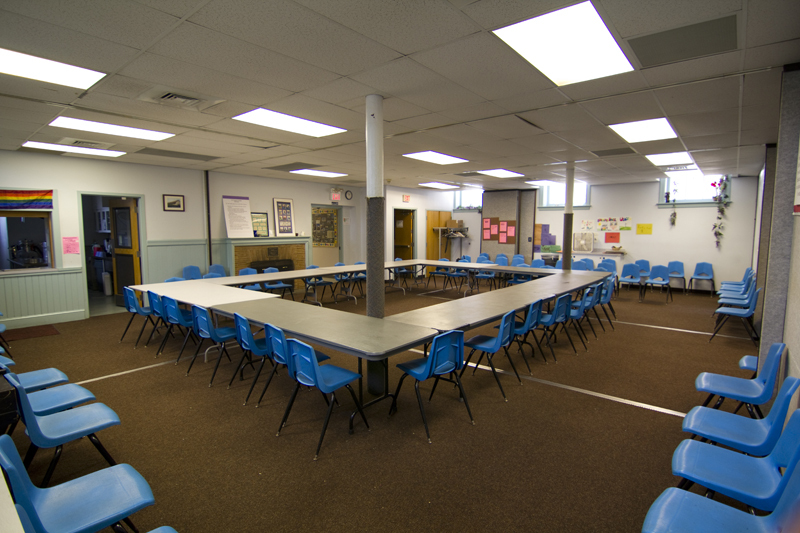 A small conference room table and chairs are available. The front lawn is made available to non-profit groups doing social justice work, for purposes of gathering and to make information about such groups available. Retail sales are not allowed on the grounds of the Unitarian Society. 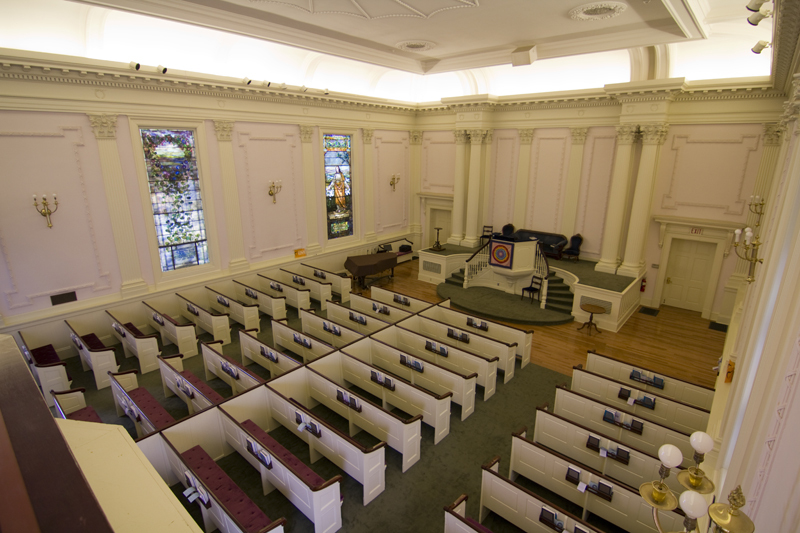 The Unitarian Society offers a variety of spaces to accommodate many needs. We strive to ensure that our building is accessible to all—our side door opens electronically, an elevator takes people from the side door to the upper and lower floors, and our bathrooms are handicap-accessible and transgender-friendly. Please note that our rental rates are different for USNF members/pledging friends and for others in the community. The special rates for members/pledging friends are in parentheses. There is never a charge for committee-sponsored events organized by USNF members or committees. Rentals also require the payment of a sexton's fee and a refundable key deposit of $25. Full schedule of fees. Rates may be changed without notice. If you have questions about our rates, please contact the office by calling (413) 584-1390 or email office@uunorthampton.org. All outside events must be in keeping with our Unitarian Universalist Principles.